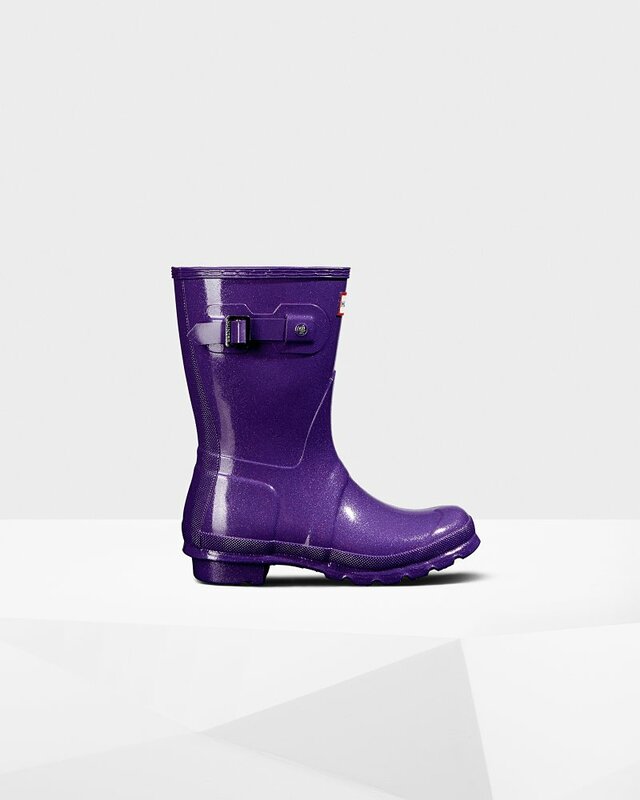 Women's Original Starcloud Short Rain Boots is rated 4.5 out of 5 by 37. Avec ses blocs de couleurs vives, cette bottine Orginal est parfaite pour les conditions humides. Version basse de l'icônique botte montante Original, ce modèle est fabriqué à la main à partir de 28 pièces en caoutchouc naturel et prend trois jours à assembler, avant d'être vulcanisé pour encore plus de protection. Rated 5 out of 5 by Breba from Love them So happy I got them and great price! Great quality boots! Rated 5 out of 5 by judy from I love my boots! I bought these boots to splash in the puddles with my four year old grandson. I haven't had rubber boots in twenty years and these are wonderful! They are so comfortable and I could easily wear them everyday, can't wait for the next rain shower. Rated 5 out of 5 by Judy50 from Very stylish Looking forward to wearing them in the Spring. Love the funky colour. Rated 5 out of 5 by lizzie from Wide, comfy, pretty The boots are black with small rainbow sparkles/glitter, very pretty. The boots hit mid-calf. I fit a size 6 in sandals, but a size 7 in boots. The boots are comfortable even with my orthotic inserts, very wide feet and very wide calves. The boots are waterproof and good for warmer temps. There is no insulation, so they get very cold in the snow. The boots are a bit heavier, but very durable and rugged and are obviously high quality. I bought these on sale from their website, so it was very good value for the price. Rated 5 out of 5 by Megs from Beautiful!!! Bought these boots beginning of the year. Great sales! The boots are just perfect! The fit is slim and the sparkles catch the light so beautifully. Rated 5 out of 5 by Pepper from So fun! I adore these boots! Comfortable, roomy and so sparkly! They add a smile to a rainy day.